Former Prime Minister blasts Netanyahu after the PM criticizes police leaks on investigations against him. 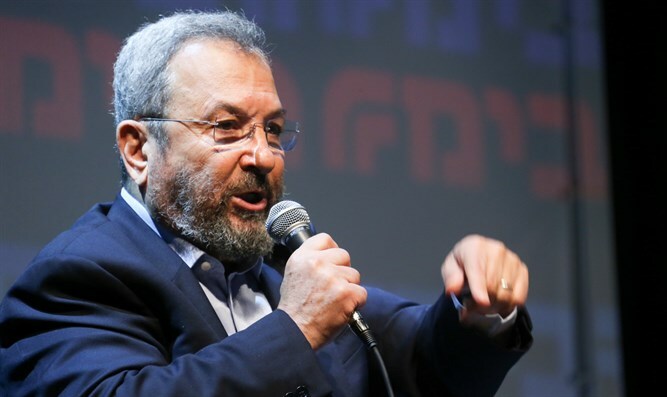 Former Prime Minister and Defense Minister Ehud Barak on Saturday night attacked Prime Minister Binyamin Netanyahu on Twitter, after Netanyahu criticized the Israel Police for leaking information to the media in connection with the investigations against him. "Illegal leaks have become a tsunami," Netanyahu wrote on his Facebook page following a Channel 2 News report which said the police would renew their investigation into Netanyahu. “When Police Commissioner Roni Alsheikh assumed his post, he made two important decisions: That there would be no more leaks from the investigations and there would be no more police recommendations [for indictment],” added Netanyahu. “Ever since Lior Horev was appointed as the police’s external political adviser at the cost of millions of taxpayers' money and without a public tender, the illegal leaks have turned into a tsunami, and the decision to avoid recommendations [for indictment] disappeared,” he continued, noting, “The public has long understood that there is a clear campaign by the media against me." Hours later, Barak tweeted, "Netanyahu, on his way down, is ready to burn down the country. A despicable and dangerous persecution of state institutions . When the law threatens Bibi, Bibi threatens the law." Opposition chairman Yitzhak Herzog responded to Netanyahu's comments as well and said, "What began with artists, journalists and judges is now reaching the police. Incitement and causing rifts for the sake of personal interests at all costs. Even at the price of the unity of the people and damage to the symbols of law and government. " MK Tzipi Livni (Zionist Union) also attacked Netanyahu following his remarks. "A new low - now the police commissioner is also in Netanyahu's sights. We must stand alongside the law enforcement agencies and against Netanyahu's attacks. Maintaining the rule of law is more important than he is,” she tweeted. Yesh Atid chairman MK Yair Lapid also addressed the issue on Twitter and wrote, "Netanyahu's attack on the police commissioner is a new low in an attempt to threaten the rule of law in the country. A disgrace." Netanyahu is currently under investigation in Case 1000 and Case 2000. Netanyahu denies any wrongdoing and has repeatedly stressed regarding the investigations: "There will be nothing because there was nothing."